The Big Takeaway: No Way Jose continued his winning Main Event run with a victory over Tyler Breeze. 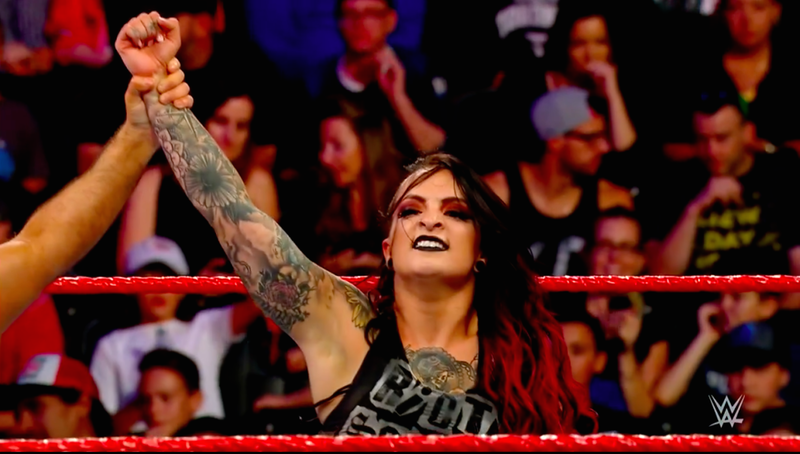 Ruby Riott and her cronies then saw off Ember Moon in a match that marked their collective debuts on this show. Jose and Breeze looked like they were having a lot of fun out there for this good opening match. They were full of smiles and laughs early on, and it was infectious on the pre-Raw crowd as they did some comedy. They worked really hard, with lots of back and forth. The middle of the match was dominated by Breeze working over Jose’s left leg and culminated in him putting Jose in a single-leg Boston crab in the middle of the ring. Jose fought his way out as the crowd got into it. The finish saw Breeze get slingshot into the corner and then, dazed, run straight into Jose, who popped him up and nailed him with his knockout punch for the win. The victory marks Jose’s sixth straight win in as many weeks on Main Event. It's good to see WWE finally using this show to promote some of the strong talent in the women’s division and use it as a training ground when there isn’t room for another match on Raw. Both Riott and Moon were making their Main Event debuts here, and it has to be said that both looked good in the ring. Ember Moon particularly stood out -- she is incredibly agile and has a move set that really showcases her skill. The match felt like it would be Moon’s for the taking, but The Riott Squad lurked at the ring apron and you sensed that they would ruin things for Moon, which is exactly what they did. After lots of close holds early on, they both had moments to shine, but the end saw Moon thwarted by Logan and Morgan as she looked to hit The Eclipse. Moon was up top and fought off Morgan first, then Logan. It looked as though she might still come through with the victory, but Riott sprung up and hit her mid-air with the Riott kick for the win. This was a nice twist to mark a fine show debut for this pair.